The Federal govt controls hi-ratio mortgage lending…. (mortgages that are greater than 80% loan to value)… There is a $600 billion limit for Canada Mortgage and Housing Corporation (CMHC… a federal corp). 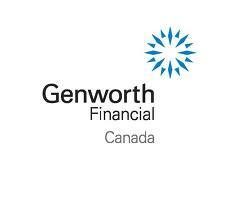 And a $250 billion limit for Genworth Financial Canada (a private corp). 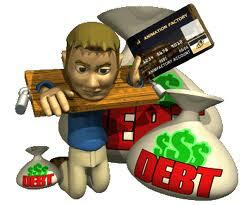 $600billion….Recently, we heard that there was another crisis looming in the mortgage industry. Last week, we saw CIBC make headlines when their wholesale lending division, Firstline Mortgages, made drastic changes to the lending policies, which included pulling out of the self-employment and new-immigrant lending programs. They also reduced their maximum mortgage limits. So what happened? Why did Firstline Mortgages make these changes? Firstline told us this was in reaction to a report stating Canada’s self-employed and new-immigrant mortgages shared similarities with the U.S. Subprime mortgages. But maybe there was another reason… Shortly after this report, we got news that CMHC was approaching their mortgage limit. The report said CMHC ‘s total insured portfolio was $541billion as of the end of Sept 2011. The last increase was in 2008 when the govt raised the limit from $450billion to $600billion. But now it remains uncertain if or when the govt will raise that limit… So now we have lenders and bankers wondering how this will affect the supply of mortgage insurance.. so, what do they do? They cut out some of the less popular mortgage programs… Nice, huh? 2.99%….Remember that 2.99% No Frills rate special last month? I can’t help but wonder what the executive boardroom was like when they saw their mortgage department come out with this rate… at a time when the govt was clearly trying to cool the housing market and slow consumer borrowing… It’s early in the year, but this has to go down as one of the most ill-timed moves of 2012… Congrats BMO mortgage dept! You did bring No Frills products to the forefront. And this gave us a real opportunity to point out the shortcomings of this product..
Genworth Financial is kicking off the traditional Spring housing market with a week of Online seminars… Each day has a different theme….The goal is to educate prospective homebuyers and borrowers so they can make informed decisions….